Thank you all so much for looking/commenting on my dog pictures! I never imagined that a couple blurry photos would strike a nerve with so many people, but it’s been very exciting, to say the least. If you’re new here, let me introduce myself. Yes, I deliver mail with the USPS, a job which I love (most of the time), but I come from a creative background. Because there are few paying jobs in my fields of interest, I try to spend as much time writing, drawing, photoshopping, and video-making that I can when I’m not at work. It keeps me sane. Right now, I’m acting as Creative Director for San Diego’s best non-profit, arts-advocacy organization, So Say We All, which is embarking on a really huge, really awesome project… and we want you in on the action. 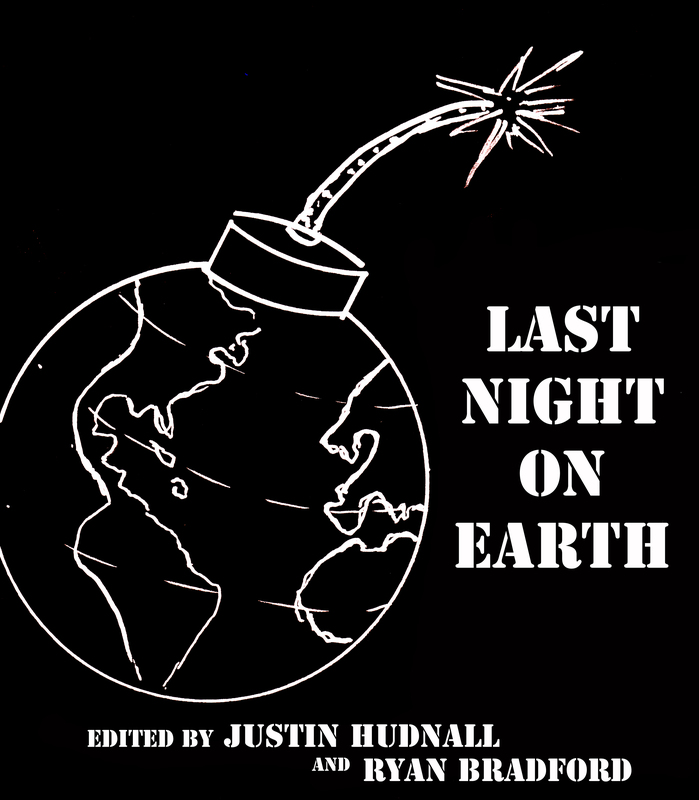 Simply, the Last Night on Earth project is a going to be a book , our first book, to be exact. We’ve called in favors from some of the best writers in the country to submit stories of what they would do if they only had 24 hours to live, or as our promo stuff says: When everything around you is going to die, how do you live? It’s going to be exciting, heart-felt, frighteningly-hilarious and hilariously-frightening. Well, I’m glad you asked. You see, we set up this little Kickstarter fund-raising site right HERE, which gives you more information about the project, presented in a video that I co-wrote/co-directed, because reading… meh. Oh, and did I mention there are incentives we give you for donating? So please support non-profit art. It makes you feel good about yourself and it feeds So Say We All’s executive director for another week.